The first song ‘Bol Do Na Zara‘ from the upcoming biopic Azhar is out now and is being liked by listeners. 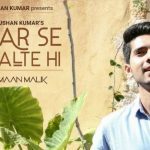 The song is sung by the young star Armaan Malik and composed by none other than Amaal Mallik. Its lyrics are given by Rashmi Virag, who also penned Main Rahoon Na Ya Na Rahoon. 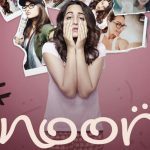 ‘Bol Do Na Zara’ is presented by the biggest music label of country T-Series.